Rosa Becker is senior policy advisor at EP-Nuffic, the Netherlands organisation for international cooperation in higher education. Previously, she worked as researcher at the Institute of Education, University of London and at the Observatory on Borderless Higher Education, both based in the United Kingdom. 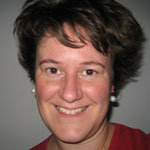 Rosa holds an MA in Education from the University of Groningen (The Netherlands) and a PhD in Comparative Higher Education from the Institute of Education, University of London. Currently, her main interests are in the broad field of internationalisation of higher education, including policy, practice and pedagogical aspects, forms of international collaboration, international mobility of students, staff and programmes, and other developments in the international higher education market. HUTAC event: 2012 Conference | Moving Forward | Exploration track: How much talent exists in the Netherlands? Where are the shortages in the labour market and the opportunities for talent?